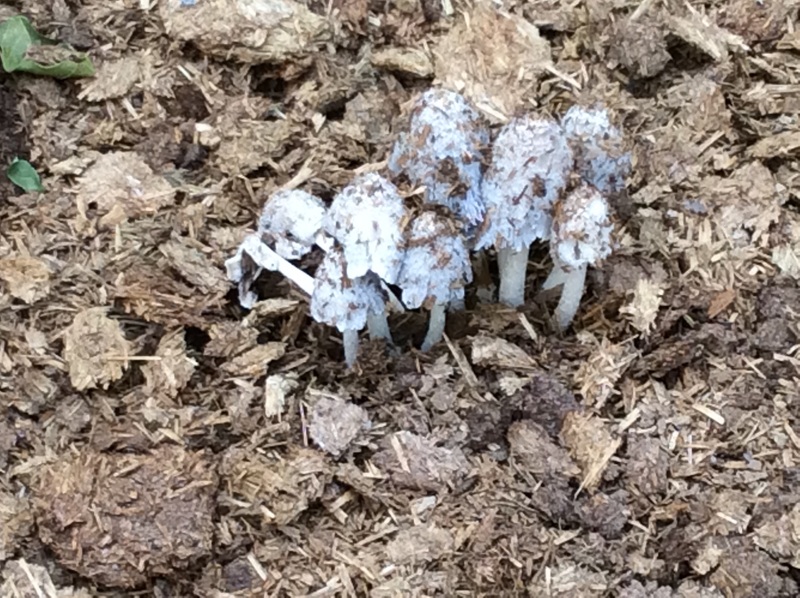 Spotting these mushrooms on top of a pile of decomposing horse manure this morning reminded me to encourage everyone to read Paul Stamets’s book Mycelium Running if they haven’t already read it. It’s a marvelous book about the activities of the entrancing kingdom of fungi, and incidentally it’s a good read. There is no effective way to understand an ecosystem without understanding what the fungi within it are doing. I use them as an indicator when planting into manure: I spread feed bags and other sources of thick paper on an area that I want to reclaim, pile up manure from my neighbor’s horses a minimum of a foot thick, flatten the top of the pile and wet it down thoroughly, and then wait, wetting it again every few days. When I see mushrooms in the early morning before our desert sun burns them away, I can plant large seeds like winter squash into the pile with every expectation that they will grow.